Woldemar Neufeld was born in 1909 in southern Russia. His family emigrated in 1924 to Waterloo, Ontario, Canada. From 1927 to 1930 Neufeld studied at Waterloo College School, a prep school in Canada. In 1931 he helped to found the Art Society of Kitchener. 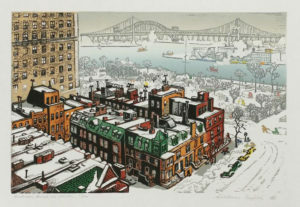 In 1932 and 1933 he studied in evening classes at the Ontario College of Art in Toronto. 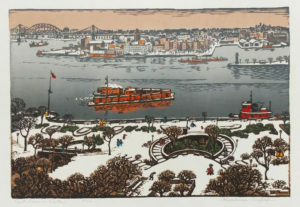 Neufeld left Canada, and from 1935 to 1939 studied at the Cleveland Institute of Art, whereupon graduation he won the prestigious Agnes Gund Scholarship. 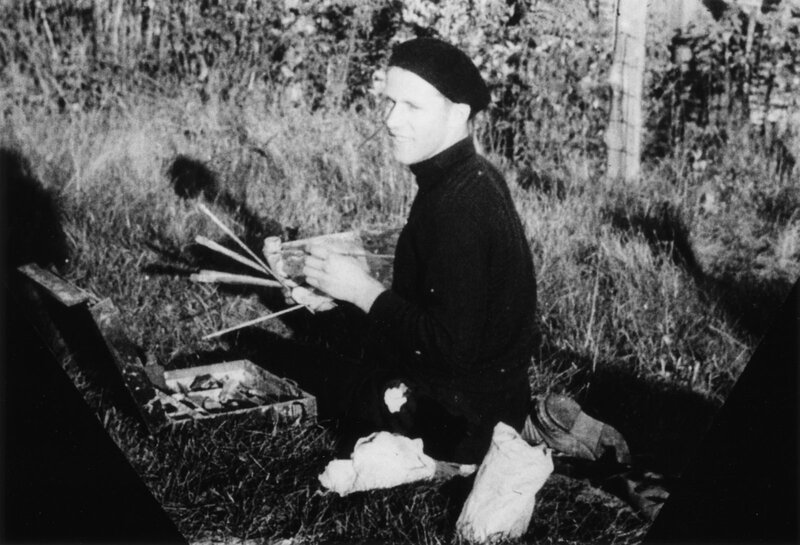 In 1941 he received his Bachelor of Science degree in Art Education from Case Western Reserve University. In 1945 he moved from Cleveland to New York City. 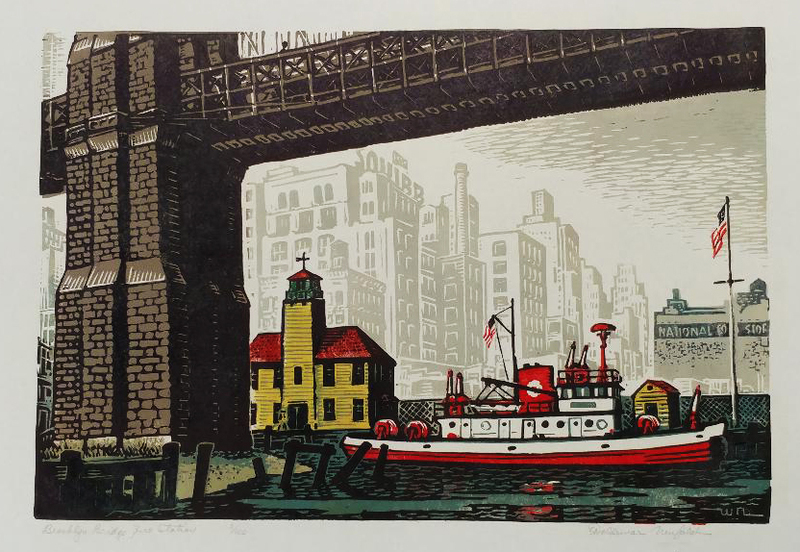 He became known as Artist Laureate of the East River for his expressionistic and exuberant birds, tugboats and waterscapes. 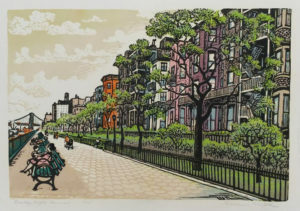 In 1949 he moved his family to New Milford, Connecticut, where he established a studio, gallery and art school. 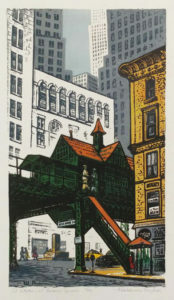 Neufeld maintained his New York City art studio until 1979. 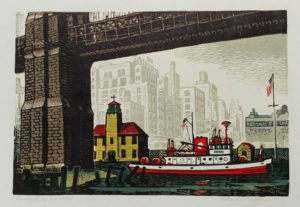 He ran a summer art school until 1965, serving as art director of East River Artists in New York City from 1948 to 1975, and art director of the Millbrook School in Millbrook, New York from 1953 to 1972. Woldemar Neufeld died in 2002 in New Milford at the age of 93. 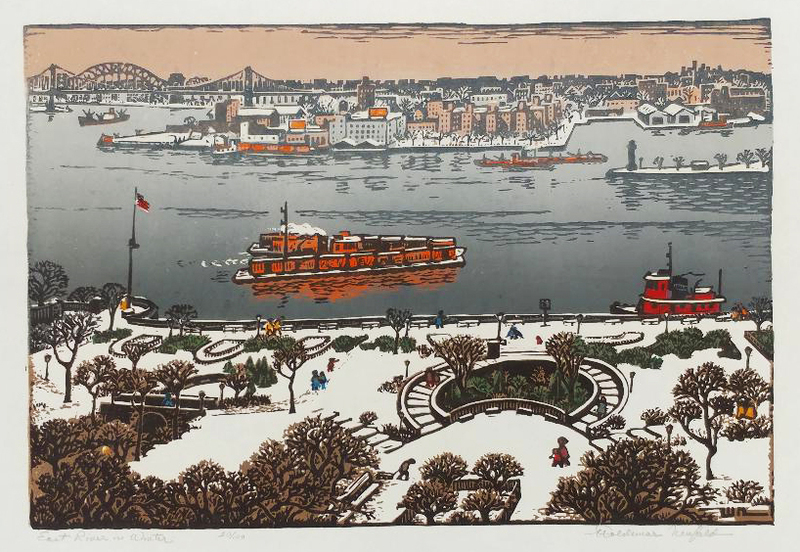 He was best known for his oils and watercolors, but he also was a sculptor and printmaker. 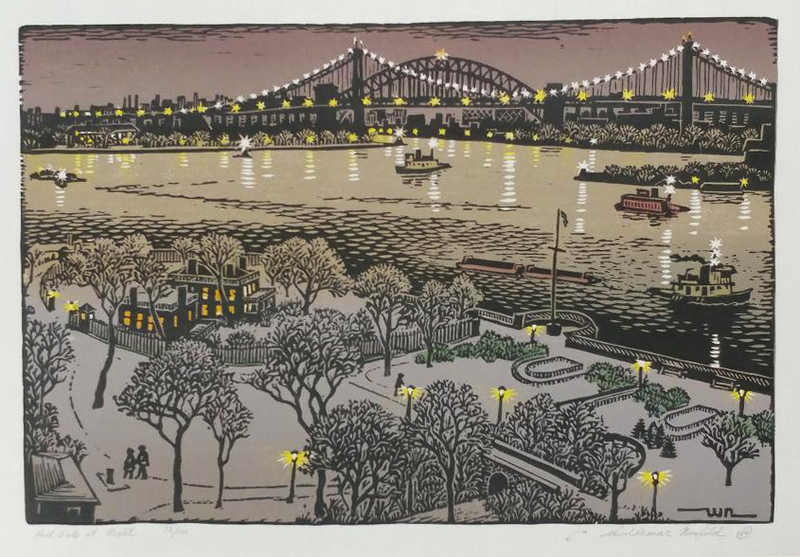 His works have been collected by (among a great many others) the New York Metropolitan Museum, the Cleveland Museum of Art, and the Library of Congress. 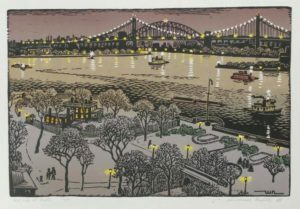 Listed below are linoleum block prints (linocuts). Each one is uniquely hand printed.